Arnold Simpson was prompt and courteous. He was very clear in his explanation of our options to replace the spring, rollers and ball bearings. He performed the repairs in an efficient manner and so far my wife and I are pleased with the results. Precision Door installed a new belt driven garage door opener at our townhouse. The men were courteous and did a wonderful job. My problem is that after being given an " installed" price we were then charged $94 dollars extra for " shop materials" and angle iron. I was under the impression that"installed" price ment materials necessary to complete the job. Very disapointed in the hidden charges. Five star rating for the job, two star rating for not being up front about total charges. Thank you for taking the time to provide your feedback. We spoke to you yesterday regarding your experience and we are sorry for the miscommunication. I'm glad we were able to come to a resolution. If you have any questions, please feel free to contact us. Arnold called 15 minutes before his arrival and explained the options to get our garage door operating again. Very personable. 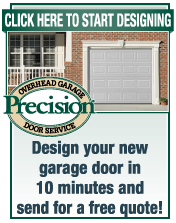 Our technician Tim was very knowledgeable and professional and serviced our garage door. He also brought new garage opener and programmed that into our garage door opener. He helped my husband by explaining things he should routinely do to keep door in good condition. Excellent service and excellent technician! The young man did a fine job. He was on time and called before he came. He was very nice. Good job. The service was provided promptly and the representative who came to our home was professional and friendly and did a wonderful job of working on what we found to be a very difficult situation for us. The door was fixed and the reason for the original problem was explained. One of my door springs failed. Justin repaired that door. At my request, he checked other door, and that too needed a new spring. My 8 year old doors now work better than new! Justin was very pleasant and efficient. They did an outstanding job. Professional, fast and cleaned up. 5 Star: We had used Precision several years ago for a broken spring. When they came out they also reinforced the door to meet hurricane codes. They were very reasonable. This time the problem was different. We were expecting a similar low cost repair but since our opener was about 20 years old they could no longer get the parts so we had to get a totally new opener and also a new spring...certainly not low cost. However the work was done well and the end result is much quieter, smoother than our old opener. Except for the sticker shock, very satisfied. 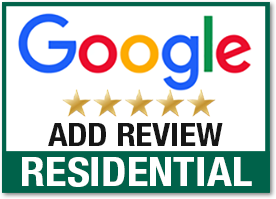 Five stars for sure...the repair person arrived within the time specified, explained the issue with the garage door, and repaired it quickly. Your employees are always so kind and nice. Beyond professional and know how to hold a conversation while still working. I have had 3 different technicians and they always go above and beyond. It is very nice to see a company have such outstanding customer service and employees! Five Star Thorough. Mother board was bad and had to be replaced. Technician was very friendly and let me know exactly what he was doing. Chris was super. Polite, efficient, knowledgeable. Thank you. 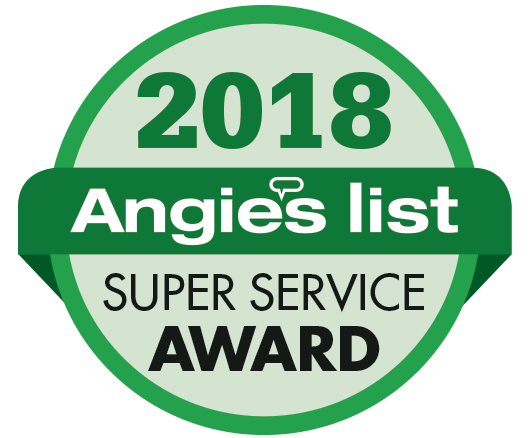 From the moment I called, I was greeted with a lovely smiley voice of a young lady who was kind and very courteous ... and when your technician, Andy arrived less than a half hour later ... he said he would do everything in his power to repair my mangled garage door. He was so professional and knowledgeable and gave me a calm feeling that not only did he know, really know what he was doing, but didn't up-sell me and was extremely efficient. I am so happy with his work and the service you, company provides, i will review your company on the Nextdoor Neighbor site. Thank you. Excellent service and information. Will use again! This is the third time I have dealt with Precison Garage Door. They have always been quick to arrive, had all the materials and performed the installation or repair tasks quickly and efficiently. Most notable to me is that their personnel, including Chelsea who answered the phone, are very nice people and make the experience more comfortable. They arrive in well maintained and clean vehicles. Chris, who replaced broken springs on my door, took the time to answer some questions about working for Precision and he had nothing but great, impressive comments regarding his employers. Even when he had a terrible fall off a roof (not while fixing a garage door) and was out of work for about a year they held his job for him and financially assisted his family through a very trying time. Kudos to Precision for caring about their employees! They even arranged a special work van for him because of limited movement in his knee. These people care, I see it and I feel it. Great job! Honest assessment and solid repair, second time using your company and am very satisfied with the great service. 2 men showed up in the time frame agreed and did the work in 1 hr. My request was not easy to explain but they understood and the result was very pleasing. My garage door was so loud it was very annoying and they fixed it quickly. It was costly, $790 but very effective. I would hire them again. Great service. Came in 30 minutes. Professional, clean, great installation. Your tech was extremely professional and personable. I would be pleased to have him return if I needed future service. We called for service and were pleasantly surprised to have assistance within the hour. James and Joshua were beyond knowledgeable and helpful. They explained everything in thorough detail and fixed what was needed. Super nice and professional as well. Thanks so much - we definitely recommend and you have a lifelong customer!